Hi, Angie here. I still recall one day when we were starting our first little cell church with a handful of people and a lot of young children —mostly our kids I must add. Between Paul and I and the two couples working with us to pioneer this plant we had a total of 10 small children under the age six. During one of my times instructing the children, one precious little fellow about 4 years old, wanted my attention. As he motioned frantically and reached out for me he called out to me. And no he didn't call out my name, Angie, as most children not my own would— not Mrs. Wagler, nor teacher either. This small chap had known me all of his 4 years as his parents were some of our dearest friends. No he didn't call me by my name Angie that day, but he called out to me... "Paul and Angie!!! Paul and Angie!!!!" I still smile when I think of it. Somehow, in his young mind 'Paul and Angie' was an inseparable entity. 'Paul and Angie' was me and probably 'Paul and Angie' was Paul as well. Made no difference to him. Jesus said a child will lead them. And unless we come as a child we cannot see nor enter the kingdom of heaven. And as our little friend so many years ago taught me, we understand in a fuller way that 'Paul and Angie' are indeed a team. The two are better than one. And the two are indeed one. Paul Wagler is an author and inspired preacher with depth of the Word through memorization and a gift of encouragement for the body of Christ. With great ability he connects with people in a way that is approachable. 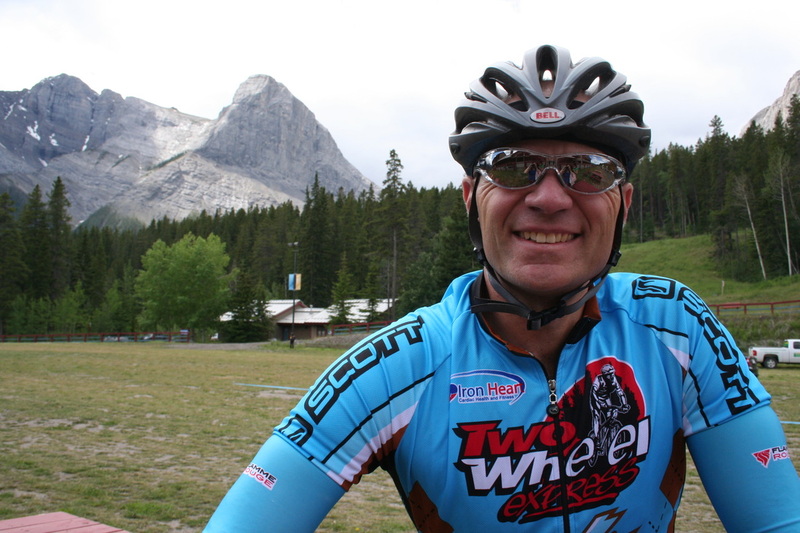 Paul is an avid cyclist in both mountain bike and road disciplines. He has worked in the transportation industry, as a bus operator and truck driver and has managed a mountain bike team for over 10 years. As well, he has great administrative and communication skills. He is the author of the Lessons Learned series of books...Lessons Learned on the Seat of My Bus, Lessons Learned on the Seat of My Bike and Lessons Learned on the Seat of My Truck. Angie Wagler is a gifted teacher with a wealth of wisdom and understanding. Worship is one of her passions and she is a songwriter, musician and worship leader. She has mentored and coached individuals and has a heart to see lives transformed by the power of God. A creative individual Angie has worked in design; interior decorating, photography and graphic arts and has a background in administration and bookkeeping. She is the author of the book All My Rooms, the first in the Transformation Series of Workbooks. Volume 2 - The Wilderness Training Manual is coming soon. Paul and Angie are media ministers. They are the initiators of the short inspirational videos the Two Minute Wake Up Call seen on their Facebook page, Youtube channel and website and the regular Friday guests on Mini Moore's radio program "Arise Radio with Mini and Friends" in Brantford on CKPC AM 1380 and Arise Brantford FM93.9. They operate in the prophetic gift and believe that the Lord confirms his word with signs and wonders. They have been church planters and pastors and have been involved in church in various forms including traditional, cell, house church and leadership healing groups. They understand wilderness pruning and fine-tuning and have an understanding of walking through the painful process that pre-empts inheritance. They are licensed with and members of Anchor Ministerial Fellowship. Happily married for over 30 years, Paul and Angie make their home in Kitchener, Ontario, Canada. They have three grown children and one much loved dog.